Make collaboration second nature at your company as employees share diagrams within and across teams to gain feedback and approval. Since Lucidchart updates in real time, everyone can build and edit the same document simultaneously, regardless of location. In-editor chat and commenting features allow team members to resolve issues faster without ever leaving Lucidchart. 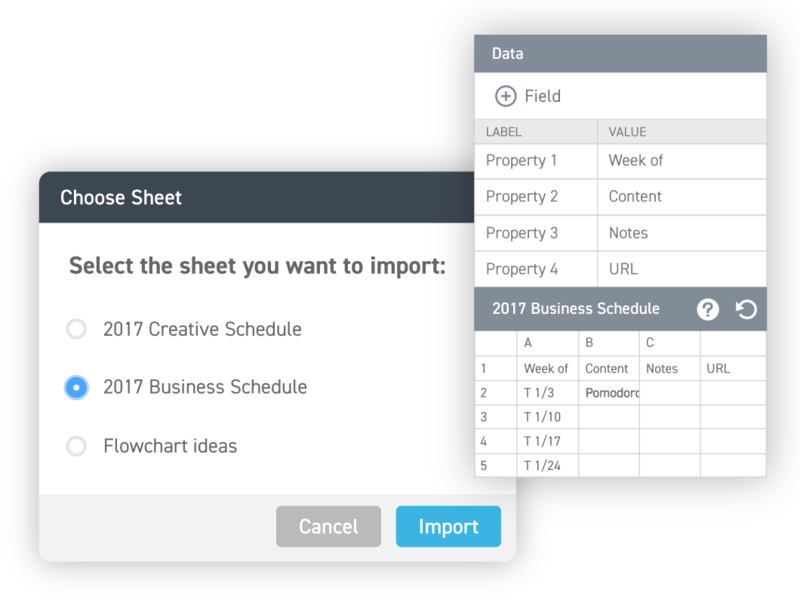 Employees can even build team templates and image libraries while enjoying access to all Lucidchart’s advanced shape libraries. Integrations with G Suite, Microsoft, JIRA, Confluence, and other leading applications make it easy to place diagrams where your colleagues already work. 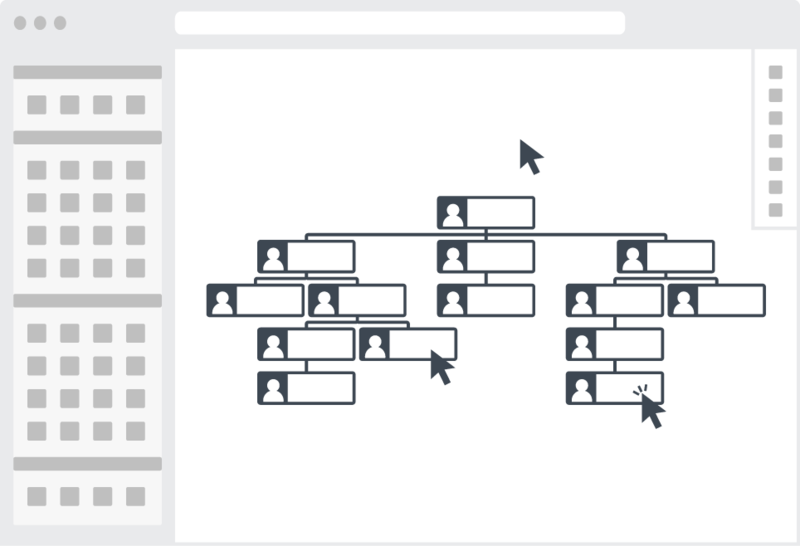 Do your employees have diagrams they created diagrams in Visio, Gliffy, or OminGraffle? No need to waste time recreating them in Lucidchart. 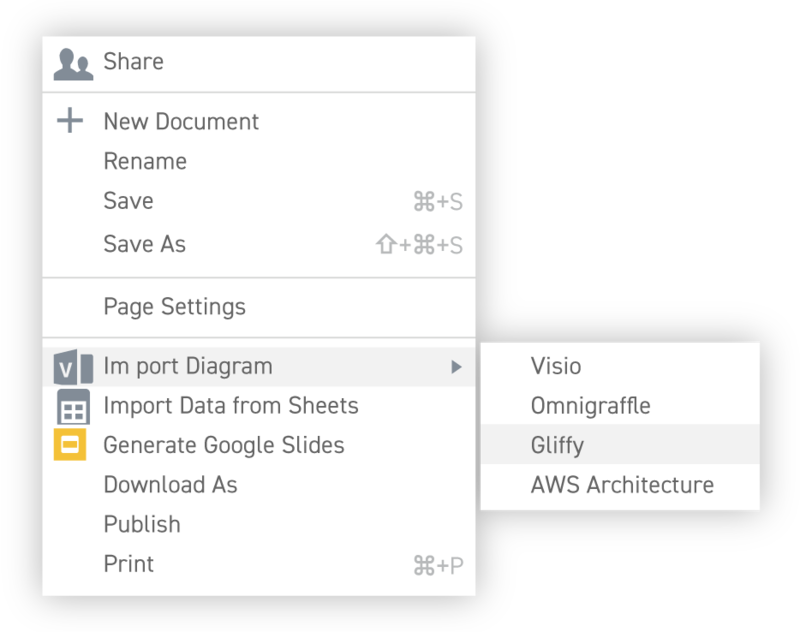 Simply import your MS Visio (.vdx), Gliffy (.gxml, .gliffy), and OmniGraffle (.graffle, .graffle.zip) files into Lucidchart and continue working right where you left off. 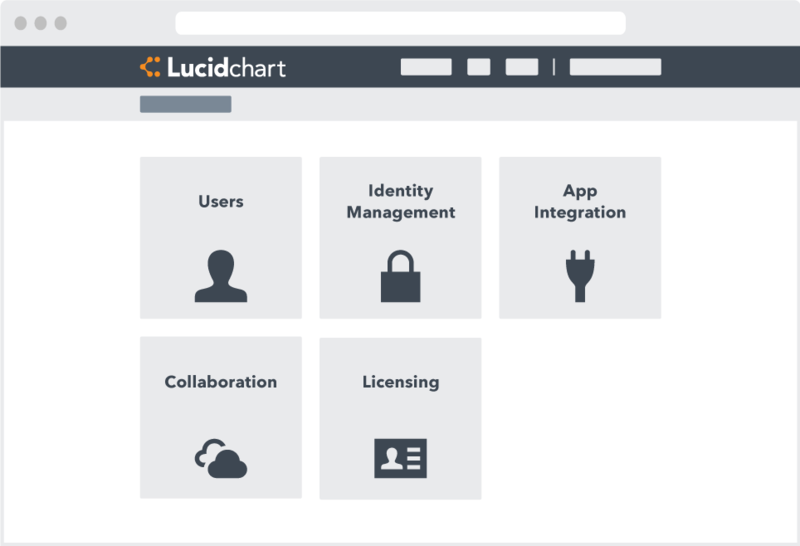 With an Enterprise account, you can ensure your intellectual property stays safe while your employees take advantage all of Lucidchart’s powerful features. Migrate all users to a centrally managed account and control who has what type of license. Retain documents after employees leave, limit access to certain IP addresses, prevent users from publishing or sharing documents outside your domain, and control how and with whom employees share documents.